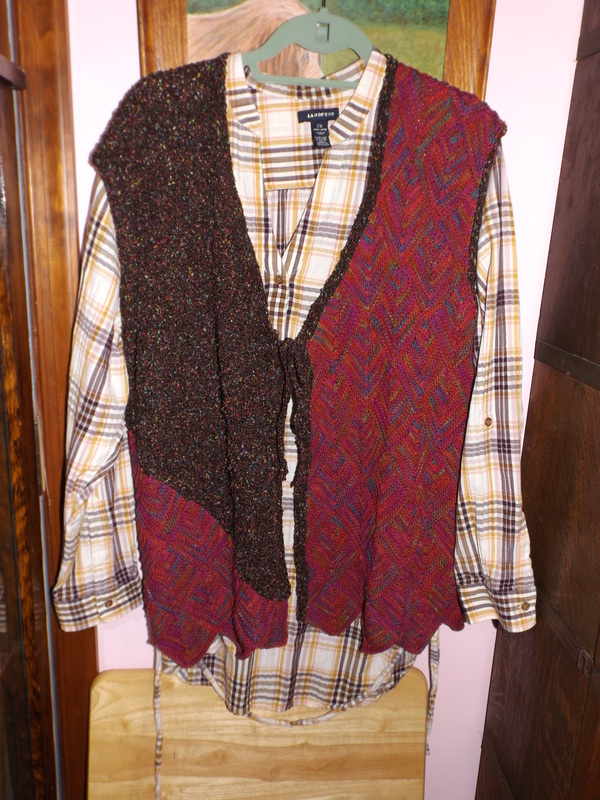 I told myself last May that I was going to make two vests to go with two new blouses. They would have to be quiet enough to go with several other things, too. This is not easy for me. My favorite colors are red and orange. 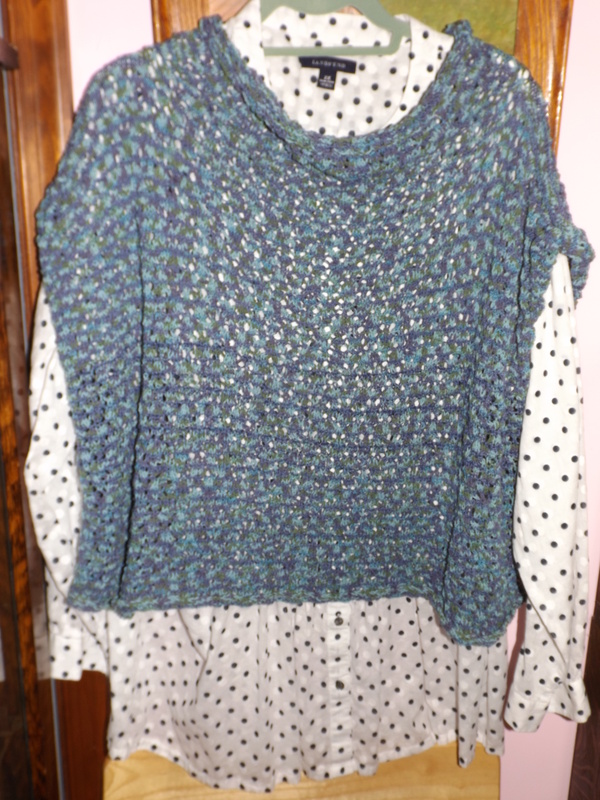 Since I have very little blue, except for jeans, I thought this would be a nice change. It is sock weight yarn using a size six needle with an easy lace pattern. It’s Crystal Palace Panda Soy or Maize or both. I’m not certain. I picked it up cheap somewhere. I think I showed you this one. Anyway, the brown is some old Noro that I picked up in Gap, PA one year. The other is cotton tape that I got at Blue Heron on sale. Mitered squares are so much fun for me. I wonder if I will ever get tired of making them. And now, I can start on my daughter’s sweater. Yeah. Sweetums made a fire this afternoon, so I wound the yarn by the fireplace. So cosy. This entry was posted on November 1, 2014 at 8:57 pm and is filed under Family and Friends, Knitting. You can follow any responses to this entry through the RSS 2.0 feed. Both comments and pings are currently closed. Very nice, Sandy!! I like both colors but I really like the look of the blue one.